We specialize in collision towing and our partnership with a Havertown Collision Center allows us to make the whole process easy. When you are in a car accident you shouldn’t have to worry about towing and repair, trust the professionals at Bob and Joe’s and eliminate the headaches. Get towing, car rental, insurance claims handling, and auto body repair all from the same place. 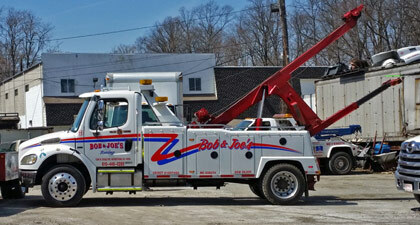 With a fleet of tow vehicles Bob and Joe’s is equipped to tow almost any vehicle big or small. We use the right truck or tow vehicle for the job to ensure no further damage. Our trucks are ready 24 hours a day to respond to accidents quickly. Since 1964 we have been towing vehicles from our Havertown, PA tow company. 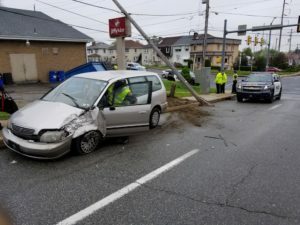 Trust the operators that have contracts with the Havertown Police Department and the State Police. When you are in a wreck the last thing you want to worry about is the collision repair. The first step should be to contact the collision towing specialists at Bob and Joe’s. We work with out partners at Direct Paint and Collision to make the repair process painless. We handle the towing and Direct Paint gets you back on the road quickly.